Army Recruitment Office (ARO) Jammu going to conduct a direct/open (Pre-Online Registration is mandatory) Indian Army Soldier Recruitment (JCO/OR Job) Rally on 13th to 28th April 2018 (tentative dates) to recruits thousands Bhartiya Sena Sainik Sadharan (Soldier GD) and other trades. 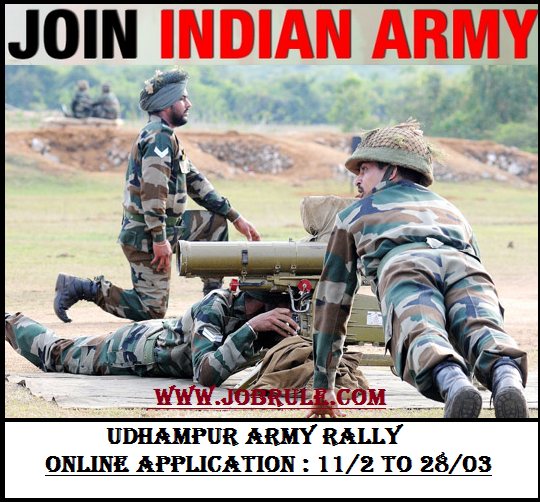 Interested and eligible candidates may apply online for next Jammu Udhampur Dhar Road Army Rally 2018 from 11th February to 28th March 2018. Districts Covered for Udhampur Sena Bharti Rally : Udhampur, Rajuri, Doda, Jammu, Kathua, Poonch, Kishtwar, Ramban ,Samba and Reasi of Jammu & Kashmir state. Last Date of Udhampur Army Rally Online Registration : 28th March 2018. 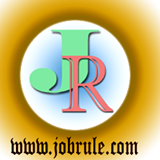 Recommendation : How to Register Online for Udhampur Sena Rally ? 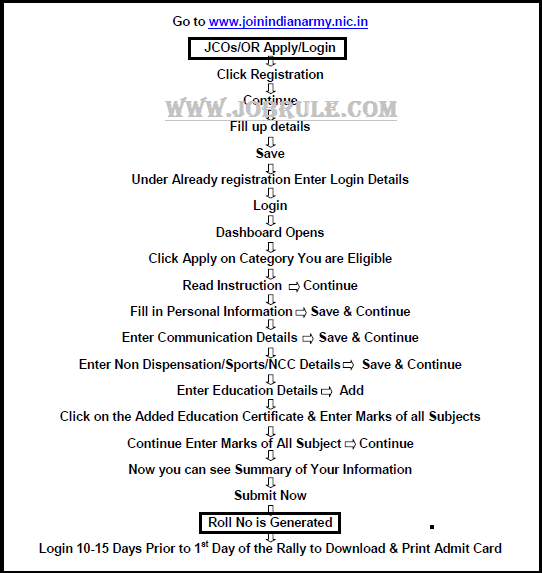 To read more details about Udhampur Army Rally 2018 trade wise educational qualification, age criteria, Physical standards, Physical Fitness Test (PET) scoring , Udhampur Military Rally district wise Rally schedule, download admit card and many more , simply go through below given check eligibility form. May send us Facebook massage or comment below to know more about Upcoming Udhampur Sena Bharti Rally 2018.